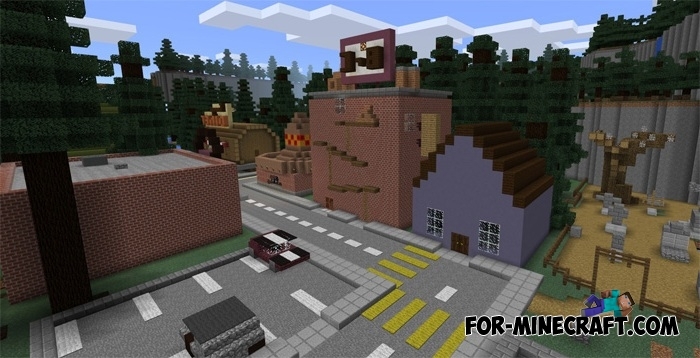 Probably, this is the exact replica of the city, where there were the main events of the animated series Gravity Falls. Here you can visit those same places where Dipper and Mabel guessed mysteries. 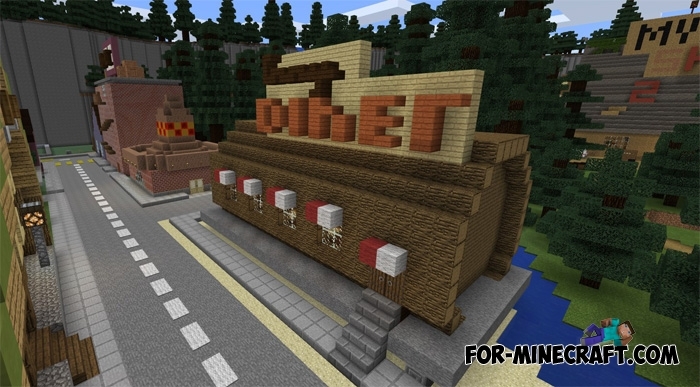 Mystery shack, restaurant Diner and many other story buildings were built with extreme precision. 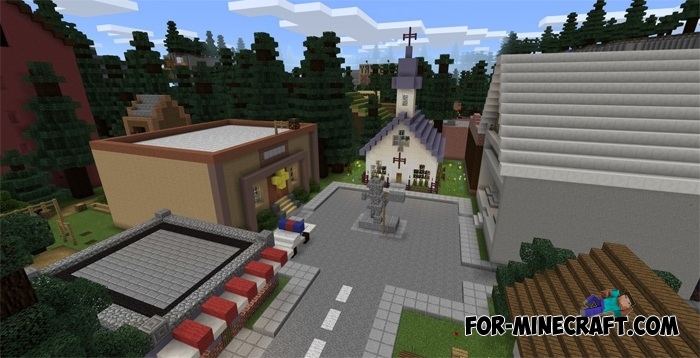 The map does not look realistic like in the animated series, but it quite well for Minecraft PE. Moreover, the map author has made a lot of effort and put houses in order. Major establishments have an interior, but some rooms are not completed and are empty. 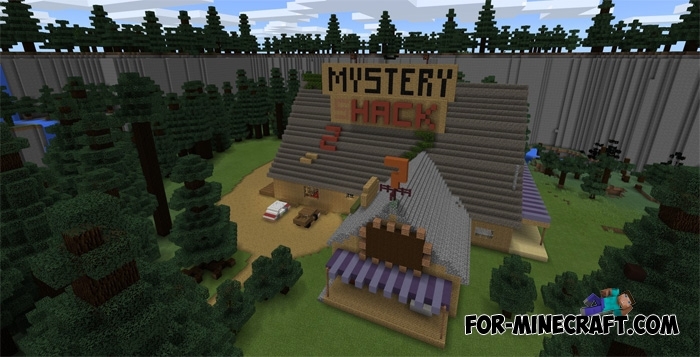 Therefore, if you are an ardent fan of Gravity Falls, then turn on the creative and complete construction.